Beautiful Waterfall In Norway. Graded and stabilized version. hd00:15Beautiful Waterfall In Norway. Native Material, straight out of the cam. Watch also for a graded and/or stabilized version. 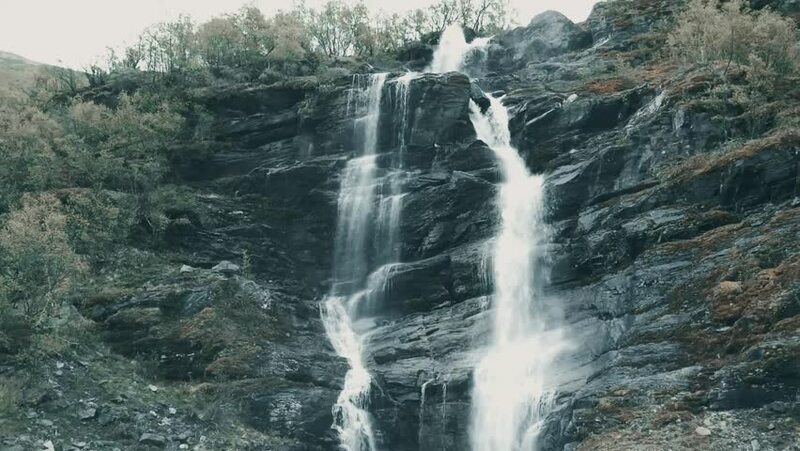 hd00:28Slow motion shot of water cascading down rocks in the Briksdal area of Norway. The sun can be seen shining off the rock. 4k00:13Aerial view of a mountain waterfall falling from high steep slopes with some mist around.